90 degree angles can be a nightmare if there is a large gap between the shower glass door and the panel. Our DS101 seal is the only shower door seal to prevent corners from leaking. DS101 frameless shower door seal comes in a couple glass sizes. The key to our DS101 frameless shower door seal – deflect the water from leaking out of the corner. Notice the picture above – the shower door is closed and the picture to the left shows the dooring opening. 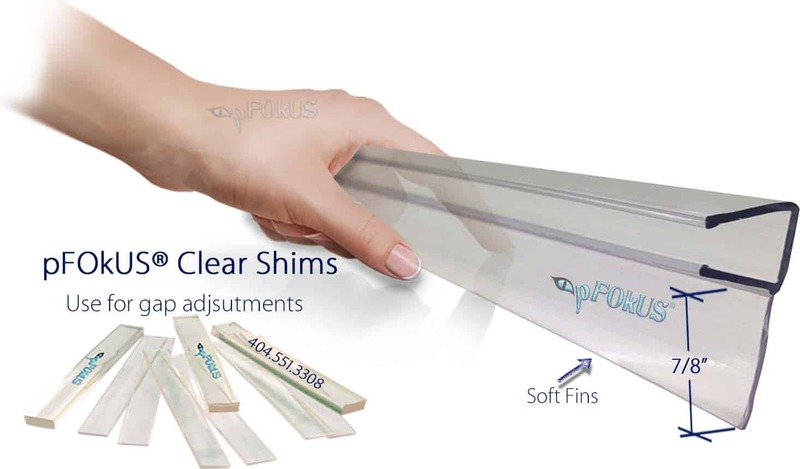 pFOkUS® glass shower door sweeps and seals are constructed of polycarbonate — the highest quality material with flexibility preventing simple cracks. 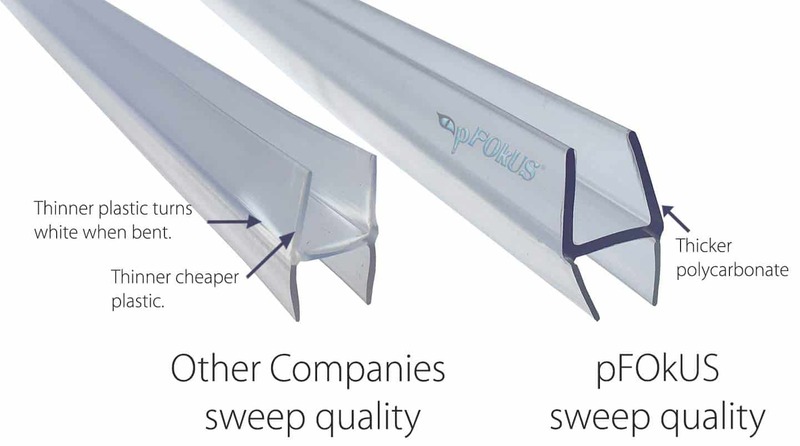 Imported sweeps are molded with cheaper and less expensive plastics. Polycarbonate has more of a natural look, easily wipes, and holds to the glass better. 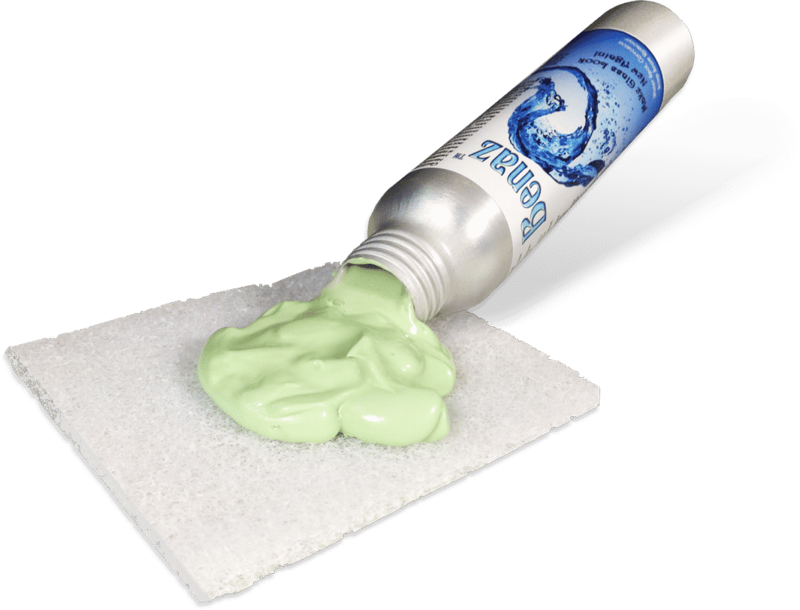 Benaz is formulated with biodegradable products to remove water spots and etching damage across your glass shower door and enclosure. Within seconds your glass will go from old to new with a fresh new look. Imagine a shower glass door that does not have to be squeegeed after each use and prevents water spot etching. With Valore – a cleaner and sealer, simply spray the solution on your glass shower door once every 3 weeks while cleaning your shower and enjoy your clear crystal shower glass door. How do I clean my shower door sweep? Simply pull down on your shower doors sweep, removing it from the glass. Clean the sweep with Valore and reinstall it. 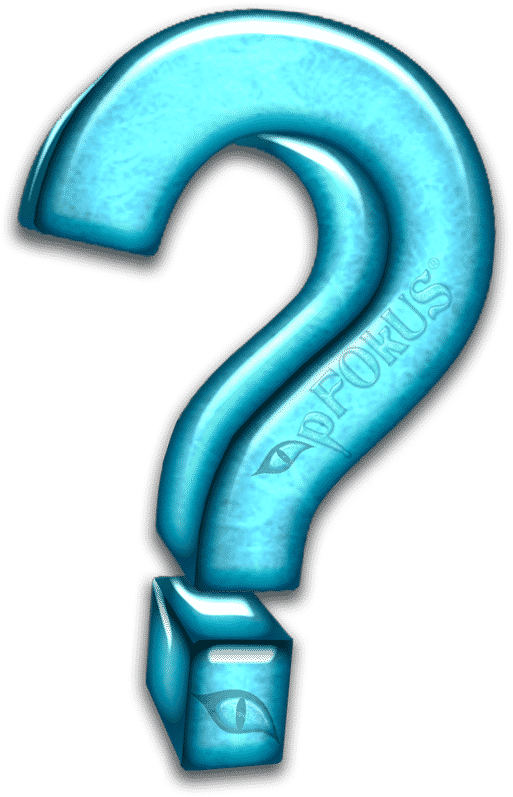 How do I use the clear pFOkUS blocks? We sell sweep cutters to cut through the thick polycarbonate. If the flexible fin is to long, what shall I do? The soft fin on the sweep can be trimmed with scissors. Remove all the calcium on your shower glass and sweep with Benaz. How long should my sweep last? Depending on hard water and tiles with lippage – most sweeps should be replaced every couple years. Lippage in tile can tear the soft fins. 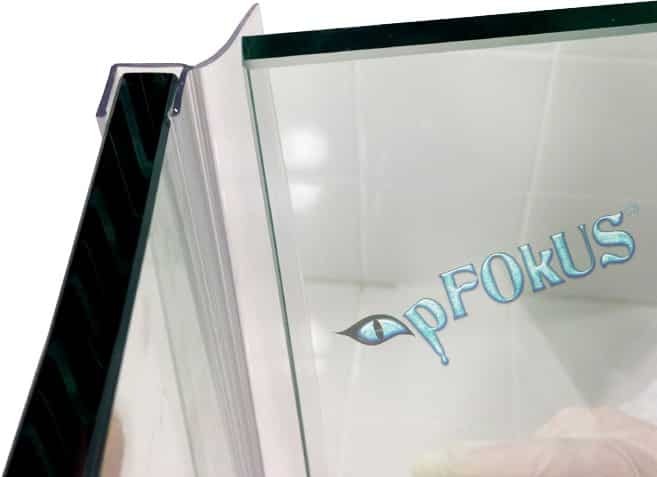 Why pFOkUS’s shower glass door sweeps, wipes and seals? pFOkUS uses the finest quality materials that not only give the shower door sweeps strength they also help eliminate yellowing over time.